Botanicals vs (Synthetic) Chemicals – with Guaranteed Results! 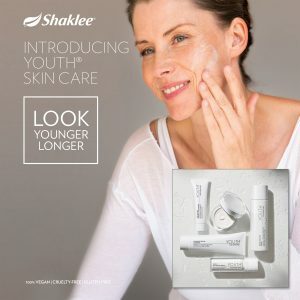 This update includes the original introduction of the Youth Advanced Anti Aging Skin Care products in 2017, as well as the 4 new products that were added to YOUTH in August, 2018. 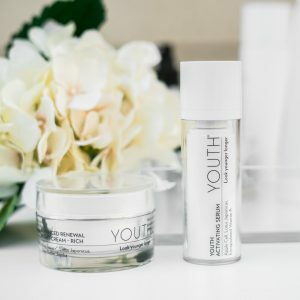 YOUTH is Skin Care with nourishing, essential nutrients and vitamins that are clinically proven and created in harmony with nature so they are SAFE FOR YOUR SKIN. 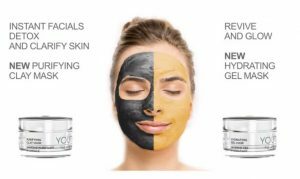 We are so excited to have a full line of facial skin care products to meet all of your healthy skin and anti aging needs. 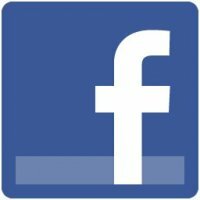 There is a lot of information packed on to this page so that you can see some of the science, benefits and ingredients in Youth, as well as how safe and healthy it is to use. In a world where we have too many chemicals, including inside skin care and personal care products – we also have choices to avoid those chemicals and still get the same (or better) results for our skin – guaranteed! You can read all of the information here first, or jump to our Shaklee page that also has the info you need to try YOUTH risk free. It’s about Hydration as well as Anti Aging! All kinds of things can age your skin, causing dry, dull, wrinkly skin way before you should have that be happening: dry climates, environmental damage, lifestyle choices including tanning and smoking, sleep deprivation, stress, and, yes, even the food you eat. You may not even realize your skin needs moisture until you give it the right moisture! This is what we found when Shaklee introduced the newest hydrating serum that immediately boosts your hydration levels by 212%. And it maintains your skin’s hydration levels for up to 8 hours – with just one application! We had been using the AntiAging Serum, with results like looking younger, better skin tone, less wrinkles, brighter looking skin and healthy looking skin, for about a year when the newest skin care products were added to the Youth line of advanced skin care products and treatments. Hydration really does provide an immediate difference. And the new serum worked in to our existing regimen so easily. We are also loving both the clay and hydrating masks for imperfections and that awesome hydration. We really have the best of all healthy, anti-aging skin benefits now. 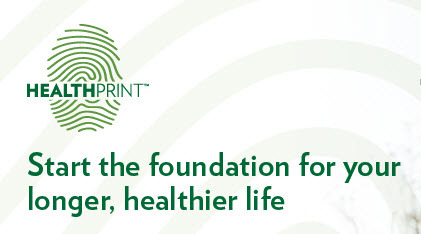 The #1 Natural Nutrition Company in America helps you: Live Younger Longer. Who wants to take 10 years off of your face AND have healthier skin? What if a healthy Skin Care System can help you have healthier skin as well as fighting the visible signs of aging and help you look younger longer. What if that better skin health is at the cellular level of your skin, really helping you improve the health of your skin. Are these the kind of results you are looking for? After 8 years of research and development, choosing the most natural ingredients that Shaklee scientists could find that would make your skin look younger and be healthier, the advanced anti-aging skin care system, Youth, is now available from The Shaklee Corporation. 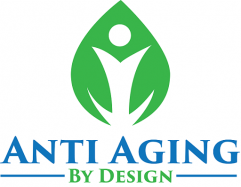 A big part of the challenge during those 8 years was to create a safe, effective, advanced anti-aging skin care program that would deliver all the fantastic results listed above and more – AND not sacrifice your health in any way for your looks. You see there are all natural products such as beeswax that you can use all day long but are not going to see much in the way of anti-aging results. Then there are anti-aging products with chemical ingredients that can be harmful to your health. But you don’t have to sacrifice safety and purity for efficacy. Shaklee took those 8 years to find the most natural ingredients in the world, that can also deliver dramatic anti-aging results – without harmful chemicals. In fact, Shaklee has the largest ‘Free Of’ (chemicals) list of any skin care company, and that is something we are proud to stand behind. John and I got our supply right away (in Atlanta in August, 2017) and started using the Advanced Anti-Aging Regimen. Looking 10 years younger sounds pretty good to us! Youth is not only for women. The (male) Shaklee scientists were gushing about it at conference as well. Men are searching for skin care that produces real anti-aging results, and we now have Youth that can provide those results of keeping your skin looking young AND healthy. 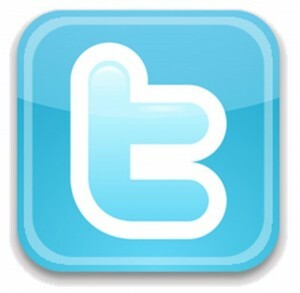 We are so excited to share what we learned about YOUTH, at conference, with you! In studies, 100% of women were clinically proven to have younger looking skin AND 2/3 lost a decade using Youth Anti-Aging Skin Care. 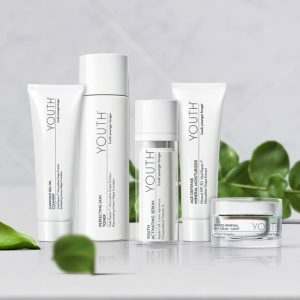 Youth is 100% vegan, cruelty free, gluten free, hypoallergenic, dermatologist tested, non-comedogenic, suitable for sensitive skin, free of over 2,500 harmful chemicals and questionable ingredients. You can purchase Youth products individually or as a complete regimen – and if you have to choose just one to start the Serum is the key! Youth Anti-Aging Skin Care is 100% money back guaranteed, at any time. You can use the system for 60 days and return empty bottles if you like. But we don’t think you’d ever want to do that! 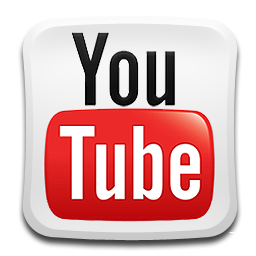 Check out this video where we learn that you can see results in as little as 7 days, and you will feel a difference right away. The key product with the most concentration of anti-aging ingredients is the Youth Activating Serum. 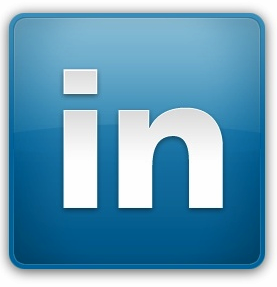 It has 10x the actives to provide the critical regeneration step. 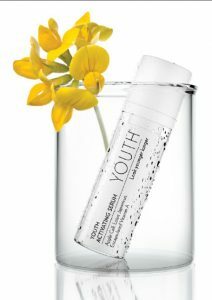 Youth Activating Serum is a potent blend of vitamins, polyphenols and the unique Youth Complex the supports collagen production and renews at the cellular level, making your skin act younger, look radiant, and rejuvenate. The ingredients that power Youth Complex are: Apple Cell, Lotus Japonicus, and Encapsulated Vitamin A. As we mentioned at the start, you may not even realize your skin needs hydration. If you live in a dry climate, you probably do. But we don’t and yet our skin was thirsty! Shaklee products work at the cellular level – it takes science and the right formulation to reach your cells where you can really get results for your skin. Shaklee’s cellular hydration technology is unique to the brand so you aren’t going to find it anywhere else. Think of it as a moisture magnet, attracting it to skin’s outer layers and allowing it to act as a reservoir locking in hydration, reducing the appearance of fine lines and redness. It helps your skin restore its natural hydration system, to rehydrate and revitalize your skin. So where do you start with a full line of healthy skin care that also happens to be very healthy for your skin? Whatever way you choose, we have the info on HOW TO USE the products and it is VERY EASY and VERY QUICK to use on a daily basis and VERY BENEFICIAL to your skin – you will SEE AND FEEL the results pretty quick! 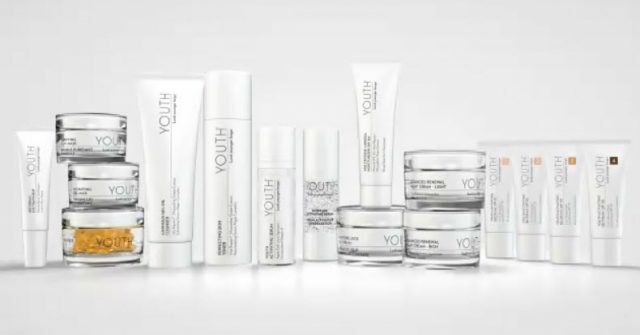 Youth Advanced Skin Care Products can be purchased in packages or individually. Youth goes beyond addressing aging on the surface to target the cellular level of your skin, helping improve the health of your skin. How would you like to lose a decade? 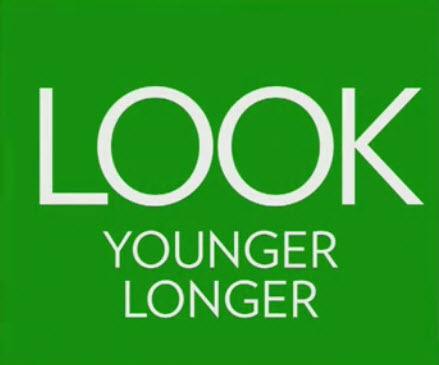 Shaklee scientists knew that Youth Complex could transform how you see yourself, but can your skin actually become younger? To help, the Skin Age Index was clinically developed, by world-class skin experts, to measure the appearance of key signs of aging with factual clinical data that includes: facial wrinkles, skin texture, pore size, hyperpigmentation, even skin tone, radiance, firmness, and sagging. 2. Perfecting Skin Toner – Free your skin of dull cells and environmental pollutants to show the world a brighter, more radiant you. Go way beyond the basics to exfoliate, hydrate, and nourish with a patented blend of essential vitamins, polyphenols, and botanicals for glowing skin. 4. Age Defense Mineral Moisturizer (for day) – Protect your skin from far more than just the sun. Natural marine biopolymers protect you from pollution. Patented antioxidants protect against free radicals. Naturally derived mineral zinc oxide provides chemical-free SPF 30 Broad Spectrum UVA/UVB protection. Advanced Renewal Night Cream (for night) – This targeted night repair cream supports your skin’s cell renewal process while you sleep – and is available in ‘Rich’ and ‘Light’ formulas. So it’s 5 products and 4 steps – using one moisturizer during the day (with natural zinc SPF) and another for night time. Optional Product: 60 day supply of Youth Radiance C+E – A powerful patented formula of 20% pure vitamin C and vitamin E plus raspberry cell extract to plump, brighten, and visibly reduce the appearance of lines and wrinkles. Add Radiance C+E to the Advanced Anti-Aging Regimen by applying it immediately before the serum. To order your Youth Advanced Anti-Aging Skin Care System today, visit: YOUTH. Help us spread the word to anyone you know who is looking for anti-aging skin care, or the opportunity to lose a decade and – Look Younger Longer.